Morning drive to the town of Sanchi in the Central Indian state of Madhya Pradesh. Visit the Great Stupa here, a large hemispherical structure that contains the relics of the Buddha. The Stupa was commissioned in the 3rd century B.C. by Emperor Ashoka who was dismayed at the huge loss of life in his military campaigns and took solace in Buddhism. A large sandstone pillar stands on the grounds of the complex. After the visit to the Stupa, stop for lunch (own expense) at a local restaurant. Next visit the nearby Udayeshwara temple. This 11th century temple is dedicated to the Hindu God Shiva. The temple is built of sandstone and is enclosed with a dwarf compound wall, the outer face of which is richly carved. At the end of the tour, you will be driven back to Bhopal and dropped off at your hotel. Excursion to Udayagiri & Sanchi. Embark on your full-day excursion to Udayagiri Caves and Sanchi, a UNESCO World Heritage Site. 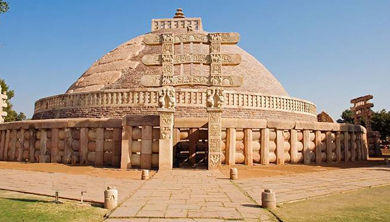 Visit Sanchi the serene hill crowned by a group of stupas, monasteries, temples and pillars dating from 3rd century BC to 12th century AD. After visiting Sanchi, get transported to the Udayagiri Caves. 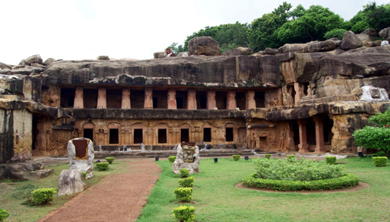 The caves are an early Hindu ritual site located near Vidisha region. They were extensively carved and reworked under the command of Chandragupta II, Emperor of the Gupta Empire, in the late 4th and 5th century AD. There are a series of rock-shelters and petroglyphs, ruined buildings, inscriptions, water systems, fortifications and habitation mounds. At the end of your tour you will be returned to your place of pickup. Excursion to Bhojpur and Bhimbetka. About 30 miles from Bhopal, the capital of the central Indian state of Madhya Pradesh, lie the historic Rock Shelters of Bhimbetka. A UNESCO World Heritage site, these are five clusters of natural rock shelters that date back to the Mesolithic age. The well preserved paintings in some of these caves are as old as 30,000 years. On this day-excursion from Bhopal visit these caves before continuing your drive to the nearby town of Bhojpur. 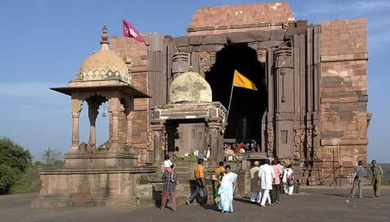 In Bhojpur visit the 11th century Hindu temple dedicated to Lord Shiva. One of the biggest lingas (a phallic structure that is a symbol of Shiva) made from a single stone can be seen here. 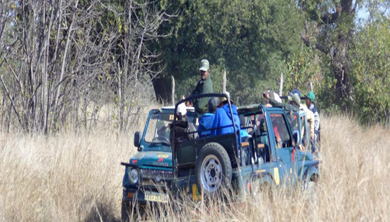 Excursion to Van Vihar National Park with Afternoon Jeep Safari. Van Vihar National Park is an epitome of harmonious living of wild with human. Spread over a vast area, the animals live in their natural habitat enclosed with a boundary. The visitors get a panoramic view, walking along the enclosure. Van Vihar serves as green lung for the capital town of Madhya Pradesh. It harbors herbivores like Chital, Sambar, and blue bull under free ranging condition and the animals like tiger, lion, leopard, hyena, crocodile and gharial under captive condition. Enjoy Evening Boat Ride at Upper Lake. Upper Lake, created by Raja Bhoj in the 11th century, is arguably the oldest man-made lake in India. Locally known as ‘Bada Talaab’, this lake is said to have cured the skin disease of the king. A massive earthen dam constructed across the Kolans River, the Upper Lake serves as the major source of potable water for the residents of Bhopal. 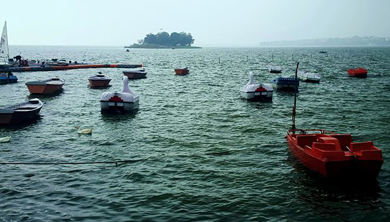 This lake is the hub of water activities in Bhopal, such as sailing, paddle boating and motor boat riding. Beauty of this lake is enhanced by the Kamla Park in the vicinity. Heritage Walk of Royal Bhopal. Very few know that the erstwhile walled city of Bhopal was also known as Sheher-e-Khaas. In this walk, we will see some of the precious gems of the city of Bhopal. 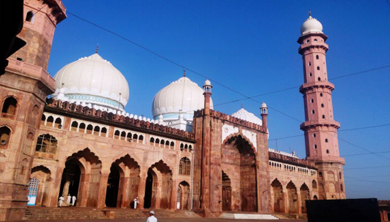 We will start our walk from the Moti Masjid, a beautiful 19th-century mosque. We will then head towards the Iqbal Maidan and go through the narrow alleys to reach the first palace of Bhopal, the Gauhar Mahal. We will talk about Allama Iqbal's connection to Bhopal at the Iqbal Maidan, as he penned the hearty anthem of Saare Jahaan se Achha. As we go through all the big and small gates and palaces, we will reach the Sadar Manzil and experience the royal past of the venue. We will also try to catch a glimpse of Seedhi Ghat Masjid, Baab-e-Sikandri, Pari Ghaat, Moti Mahal, Shaukat Mahal and Hamid Manzil on our way. We will end the walk with some poha jalebi and hot chai at a local Tea Stall.